All regular sandwiches come with your choice of bread - brioche roll, rye, whole wheat, or white. Upon request - lettuce, tomato, onion, mayo. A 5 oz. 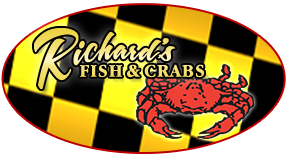 crabcake, homemade from fresh jumbo lump hand-picked crabmeat, with a potato roll or with crackers, served with french fries or cole slaw, and tartar sauce. Premium Icelandic haddock fried golden brown, topped with American cheese, served on a brioche roll with tartar sauce. A smaller version of the ice dock served on a potato roll. A special blend of our seasoning, mixed with white albacore tuna served with chips on your choice of bread. A half pound of x-large peeled and deveined shrimp blended in a secret spicy, creamy mix, served with chips on your choice of bread. A quarter pound of shrimp salad. Served on a potato roll. A sweet flavored fish seasoned to perfection, battered fried, and served on your choice of bread. Served with chips. Three Gulf shrimp, fried golden brown, served on a potato roll with chips. Six hand-breaded oysters, crisp applewood bacon, lettuce, tomato, spicy mayo served on white toast. Better than your average BLT. Served with chips. Six double padded select oysters, on a potato roll, served with chips. Two soft crabs battered and deep fried on your choice of bread. Served with chips.